You’ve heard it all your life: you should be drinking more water. Even though how much water a person should be drinking depends on various factors such as health conditions, age, gender, climate, etc. it’s a general rule of thumb that staying well hydrated is key to staying healthy. From having higher energy levels to better brain function, water is an essential part of life. But, it’s also true that with all the different types of water available today, not all of them are equal. Some are more nutritious, natural, and nourishing than others. Here are 9 types of water that exist in the world and an analysis of which one is the best for your health. 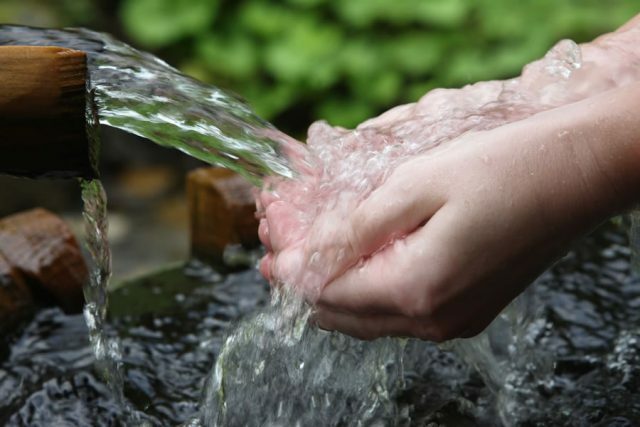 As the most widely available form of water supply, tap water can be found in most places. From the water that flushes your toilet to the kind that cleans your kitchenware, it’s all tap water! 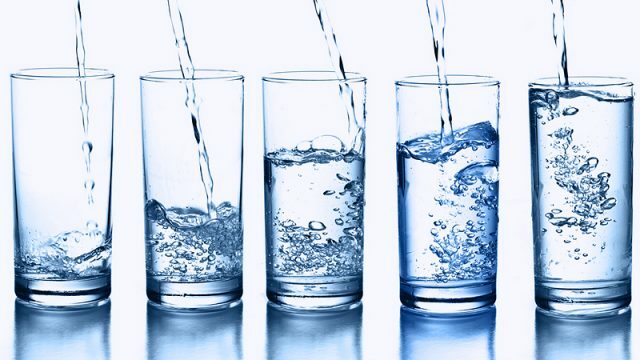 – Many might not be comfortable at the thought of drinking tap water, but in most of the United States (and several other parts of the world), it is perfectly safe to drink. – Furthermore, it is also way cheaper than buying bottled water. – While industry regulations prohibit the leaking of lead and other harmful substances into tap water supplies, it’s not always followed to a T. An example of water contamination is the water crisis in Flint, Michigan. – The Guardian also reported that research has found that many tap water supplies around the world contained particles of plastic. – Other less-than-ideal substances like pesticide residue and aluminum may also be present in the tap water supply. But, a simple solution to all of this could be a home filtration system that’s affordable and easily available. The name says what it is! Sourced from a mineral spring, it is full of nutrients and minerals, including but not limited to, sulfur, calcium, and magnesium. – Mineral water contains several minerals that a human body is unable to produce on its own. – It may also aid in digestion. This, along with its taste, makes it more desirable than tap water for some people. – The cost of mineral water is its biggest disadvantage, especially when compared to tap water. – While mineral water is nutrient-rich, many of the same minerals can also be obtained from a balanced diet. 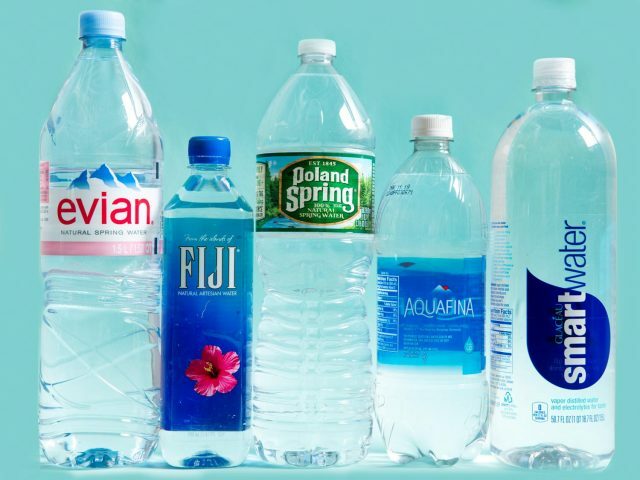 If you’ve ever seen bottled water at the store that claims to have been gathered at the source where the water flows – that’s most likely spring or glacier water. – Spring or glacier water should theoretically be free of toxins and contaminants. It should also contain many of the beneficial minerals found in mineral water. – Brands like Evian and Arrowhead have made it readily accessible (in small or large quantities). – Compared to tap water, spring water can rack up the bill, especially if you plan on drinking it exclusively. – Sometimes, spring water is bottled in raw, unfiltered forms. These are rarely tested as well, meaning they could contain substances that could be potential health hazards. 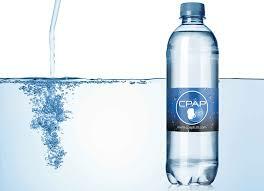 Infused with carbon dioxide gas while under pressure, sparkling water may also be known as carbonated or soda water. 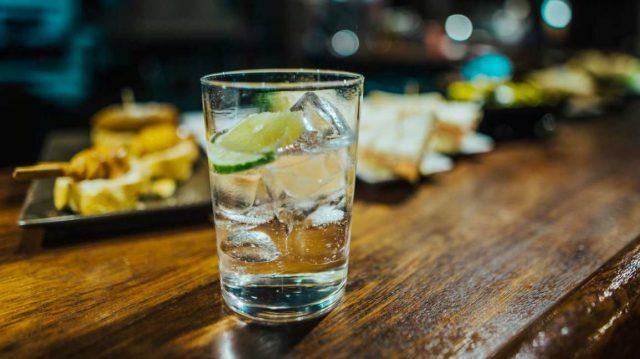 – If you’re craving something different, but don’t want to resort to soft drinks that are full of artificial sweeteners and additives, carbonated water provides you the fix you need. – Certain brands of sparkling water are mineralized, which means you’ll get the added benefit of healthy minerals. – Certain types of sparkling waters do contain artificial sweeteners, so be careful to read the list of ingredients before buying. – While it’s true that sparkling water could contain minerals, it’s unlikely that it’s enough to provide any significant benefit to your health. – Sparkling water is more expensive when compared to both tap and bottled water. Distilled water is produced by boiling water and collecting the steam that condenses back into liquid. – If you are traveling somewhere new where you aren’t sure of the purity of tap water supply, distilled water is a great alternative. – Since distilled water contains zero minerals or vitamins, there’s also zero health benefits to drinking it. – In fact, since non-mineralized water tends to derive minerals from wherever it can, it might do the same from your body, teeth, and bones. When ground or tap water is heated to get rid of harmful substances like fungi, parasites, and bacteria, you get purified water. This makes it one of the safest waters for you to drink. – Purified water is another great option if you aren’t sure of the condition of tap water in your area. – Most countries put their tap water through a purification process, so the water that comes out of your kitchen sink is likely purified water already. This makes it easily accessible and cheap. 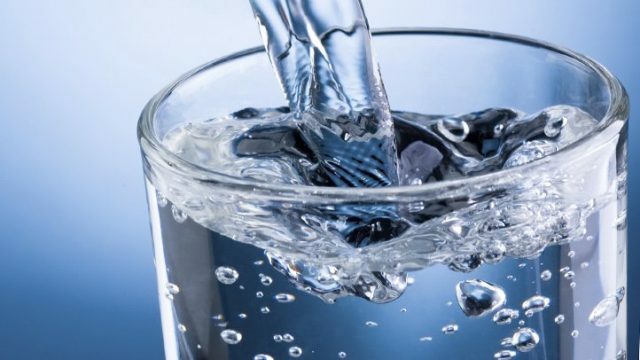 – While the boiling process rids of all harmful substances, it may also strip the water of some potentially beneficial ones that are added to tap water supplies, like fluoride, which reduces tooth decay. – The cost of buying purified water, or even installing a home filtration system, can be more expensive than some people can afford. Water that is enhanced by adding in natural or artificial ingredients is known as flavored water. It may also be sweetened with sugar or other artificial sweeteners. – If drinking plain water seems too boring to you, brands like Hint and Propel can give you a different and tasty alternative method of staying hydrated. – There’s a multitude of flavors you can choose from. 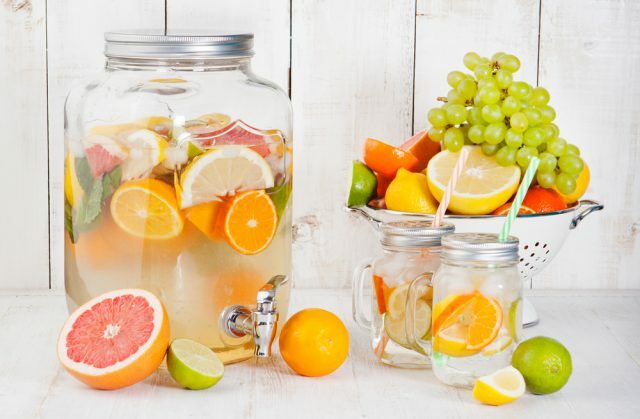 Flavors can be added by infusing the water with fresh fruits and vegetables as well. – While fruits and veggies can be added, chances are that the flavored water you buy at the store was enhanced using artificial additives. – Most brands also use artificial sweeteners, which makes it harmful to those with diabetes. It may also cause weight gain and potentially impact those with allergies to artificial sweeteners. Consisting of alkaline minerals and negative oxidation reduction potential (ORP), alkaline water is higher in pH level than regular tap water. – The higher pH levels of alkaline water have some people believing (although, admittedly, despite very little scientific proof) that it could help neutralize acid in the body, slow down aging, and even prevent cancer. – While alkaline water is safe to drink, it’s higher pH content could lead to lower acid in the stomach, which would hinder its ability to kill off bacteria. 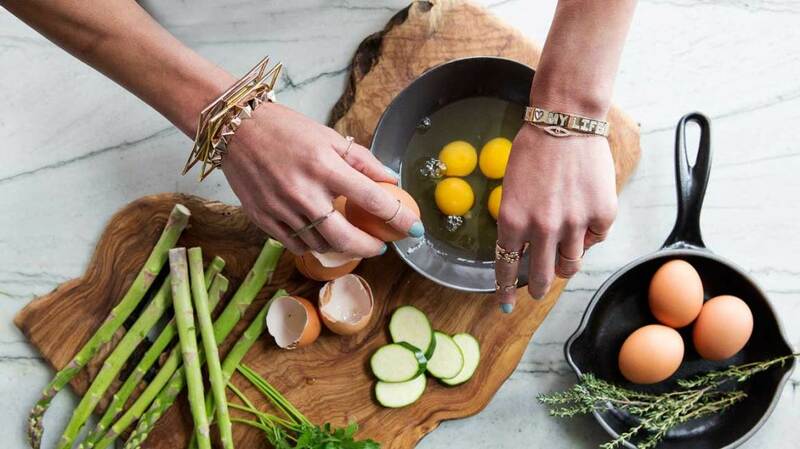 – An excess of alkaline in the body could lead to metabolic alkalosis, presenting in symptoms like nausea and vomiting. 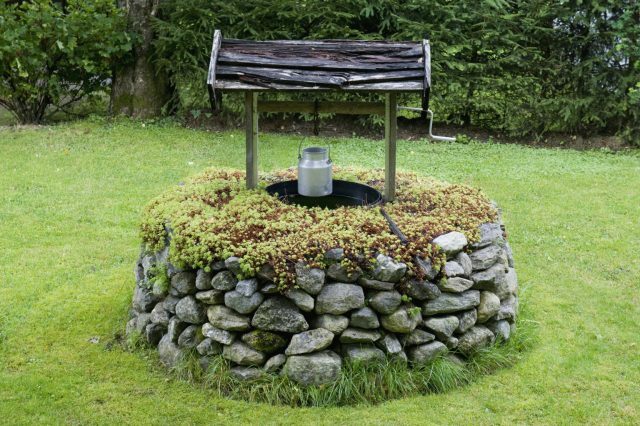 Well water is sourced right from the ground, making it one of the most natural types of water. However, given that it is untreated, it could carry a number of health risks. – In rural areas where wells are plentiful, this is a natural and cost-effective source of water. – Untreated well water may have potential risks, but it’s benefits are far higher in significance. – You can also eliminate any such risks by taking a few steps such as testing the well water for bacteria, nitrates and pH levels annually as well as installing a water filtration system. – Untreated well water could potentially be contaminated by bacterial and parasitic infections like giardia. 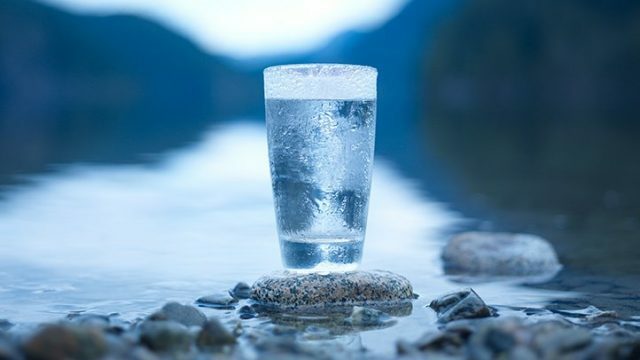 – There’s a reason why well water went from being the main source of water during the olden days to now being used sparingly. Unless it is regularly tested, it’s impossible to know what all it contains and how safe it is for consumption. 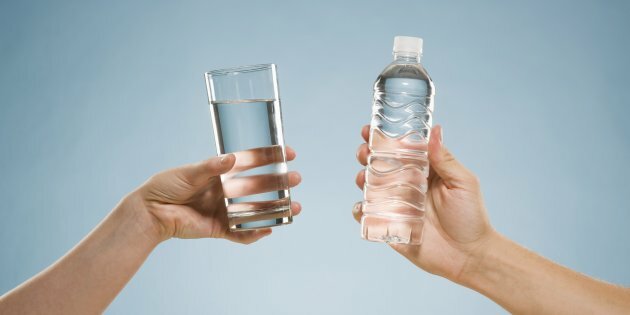 You might have your preferred form of water for consumption, but there’s no definite way to say if one is better than another. What’s best for you could depend on several factors like where you live, availability, affordability, etc. That’s why you need not worry too much as long as you’re sure that the water your drinking is clean and safe – and as long as it keeps you hydrated and healthy!